Plans for D.C.’s SLS Hotel, the first for the upscale brand in this market, are finally taking shape. 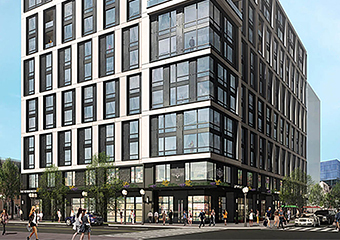 Developer Peebles Corp. plans to break ground on the 175-room hotel at Fifth and Eye streets NW this fall, according to Donahue Peebles III, senior associate of development. If all goes according to plan, it would open in late 2020. We’re also getting more details about the food and beverage offerings. The SLS Hotel D.C. will feature Japanese restaurant Katsuya from noted Master Sushi Chef Katsuya Uechi, while the lobby will have a cocktail bar modeled after Dandelyan in London’s Mondrian Hotel, Peebles said. SLS parent SBE Group also owns the Mondrian and the Dandelyan concept. Dandelyan was named the world’s best cocktail bar in 2017 at the annual 2017 Spirited Awards. The project includes 175 hotel rooms, 45 for-sale condominium units, 10,000 square feet of meeting and ballroom space and a rooftop pool and lounge area. There may also be a restaurant of some kind on the rooftop but that has not been finalized, Peebles said. The condo owners will have access to all of the SLS Hotel’s amenities, from room service to housekeeping to pool access. The building will also have a dedicated area on the roof for condo residents. SLS Hotels, in Miami, Beverly Hills and Las Vegas, are stylish and high-energy. Peebles said he expects the property bring a new level of hospitality to the District. "D.C. is chomping at the bit for something like this," said Peebles, who recently relocated from his native New York to D.C. to live full time. "Look at how successful The Line Hotel is, and placemaking feat that was. We think that we’re going to take their baton and carry it forward in Mount Vernon Triangle." Peebles is in the process of selecting a general contractor for the $50 million, eight-story hotel. The design, from Italian architect Piero Lissoni, is sleek, with modern furniture, artwork and light fixtures. Renderings show a dramatic rooftop, including an infinity pool that appears to have a fire pit in the middle of it. The SLS will join a number of new buzzy hotels in the Mount Vernon Triangle neighborhood that sits just east of the Walter E. Washington Convention Center. 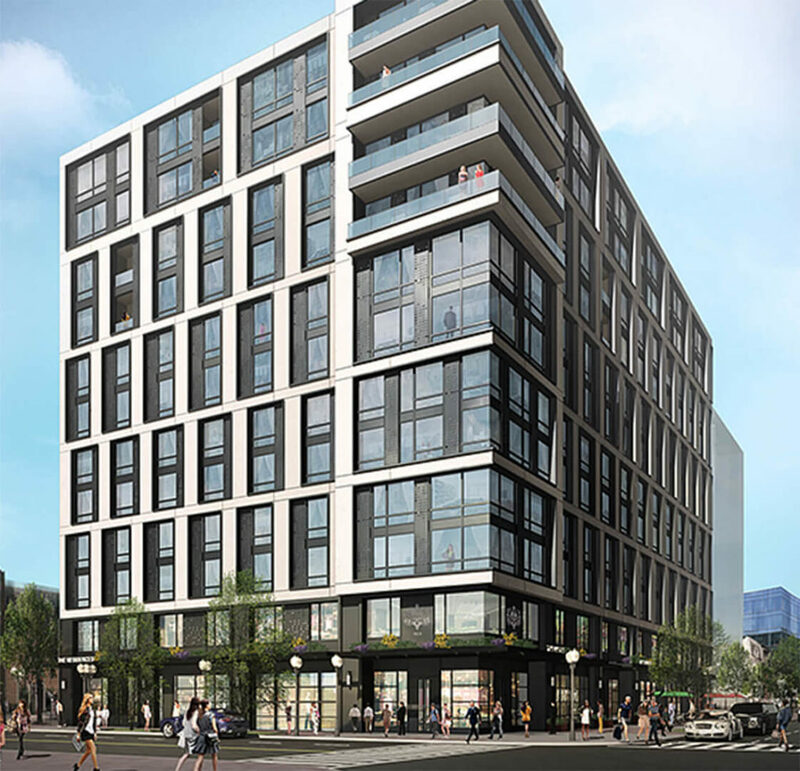 The D.C. area’s first Tru by Hilton is planned for 925 Fifth St. NW, and Douglas Development also plans to build a hotel, which may fly an AC by Marriott flag, at Sixth and K streets NW. Developer Habte Sequar has also floated plans to build a 200-room hotel at Third and K streets NW. The SLS project — the first major one the younger Peebles, son of Peebles founder R. Donahue Peebles Jr., has led — has been a long time coming. 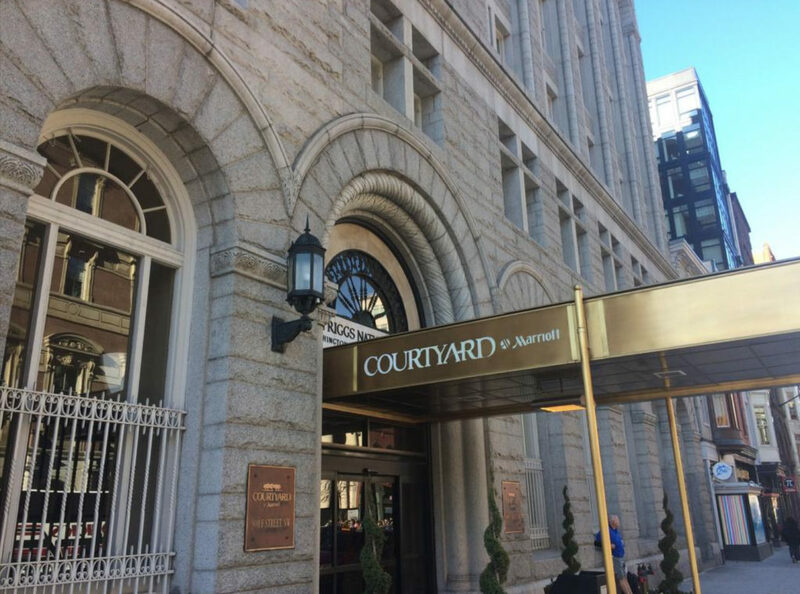 The company won the right to develop the hotel on the city-owned lot in 2014, but it had eyed the site since D.C. first issued a request for proposals back in 2007. "This has been a long time in the making. It's been 11 years since we had our eyes set on this parking lot at 5th and Eye," Peebles said. "I was still in college when we started working on this. So I'm excited. When you work on something for a really long time it's a real point of pride to have it move forward." As part of Peebles' agreement with the D.C. government, the company is also building 31 affordable housing units offsite in Anacostia. The developer will also be required to build another 30 units at a to-be-determined location. The Anacostia piece will also break ground this fall. Even in an era of mega real estate developments in downtown Los Angeles, the Angels Landing proposal stands out. On a steep, barren hillside next to the landmark Angels Flight railway, developers plan to erect a $1.2-billion residential, hotel and retail complex anchored by a skyscraper of at least 80 stories that would be one of the tallest buildings west of the Mississippi River. The process could take several years, but the developers, a trio of minority-owned firms, plan to file an application with the city next month to start the official approval process. The City Council has already granted them an exclusive negotiating agreement to develop the city-controlled 2.2-acre site at Fourth and Hill streets. Their proposal in December won a city competition among would-be developers who coveted the opportunity to build a large-scale project in the heart of downtown. 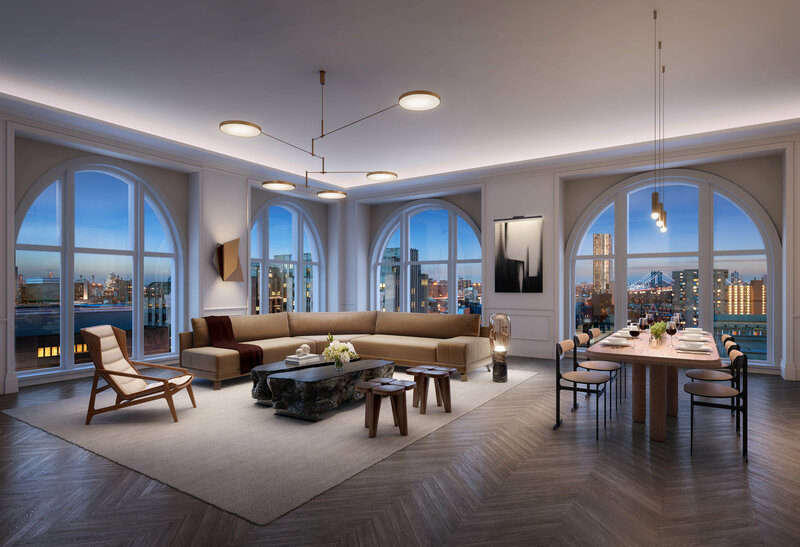 "It's basically a neighborhood within a building," said developer Don Peebles, chairman of New York-based Peebles Corp. "It's the wave of the future for urban living." 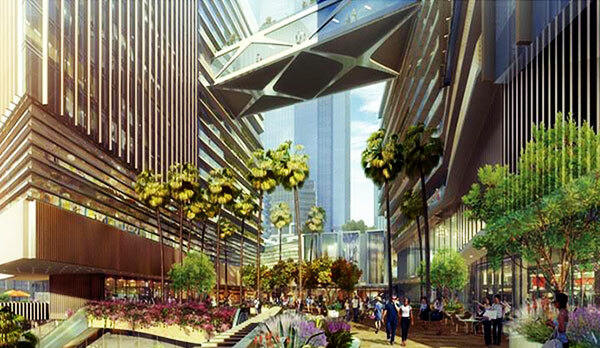 The mixed-use concept for Angels Landing, which includes apartments, condominiums, restaurants and an elementary school, is a dramatic departure from the downtown L.A. skyscraper building boom of the 1980s and early 1990s that exclusively pumped out fancy office towers. The Angels Landing site originally was expected to hold the third office skyscraper in California Plaza, where the second of two towers was completed in 1992. By that time, however, downtown was substantially oversupplied with offices and new development came to a halt. The office market is still soft, but demand for housing downtown has jumped in the last 15 years as thousands of new apartments and condominiums have helped transform much of downtown from a business park into a neighborhood where people live, shop for groceries and walk to outdoor cafes. But while Bunker Hill has top-flight cultural institutions such as Walt Disney Concert Hall and is a destination for about 40,000 office workers each weekday, it has few residents compared with other parts of downtown. Angels Landing and a $1-billion dollar development called the Grand are poised to dramatically change the Bunker Hill vibe. The Grand, designed by architect Frank Gehry, will be an open-air complex of apartments, condominiums, movie theaters, restaurants and shops that promises to enliven a city block across from Gehry's Disney Concert Hall that has been mostly dead for half a century. Work on the project at Grand Avenue and First Street by developer Related Cos. is set to begin in the fall. A few blocks south is the Angels Landing site, unoccupied save for occasional visits by flocks of goats brought in to chew weeds and brush off of the precipitous hillside. It was historically part of the business district but has been vacant for decades after the city cleared Bunker Hill for urban renewal. Filling in those two big gaps with blockbuster developments will transform Bunker Hill, office landlord Christopher Rising said. "There's going to be some 'there' there," said Rising, president of Rising Realty Partners. His firm owns one of the California Plaza office skyscrapers and competed for the Angels Landing site but lost to Peebles, MacFarlane Partners of San Francisco and New York-based Claridge Properties. "I'm a huge proponent of what they are doing," Rising said of the trio's proposal. "We also felt that the site needed residential" development. The right design could open up the top of Bunker Hill, he said, which is difficult to reach on foot from the Metro Station at the corner of the development site at Fourth and Hill streets — unless you pay $1 to ride the Angels Flight cable-driven railway. "It's very hostile to pedestrians right now," Rising said. That challenging topography can be turned into an asset for Angels Landing, architect Glenn Rescalvo of Handel Architects said. His plan calls for terraces, passageways, ramps, stairs, escalators and elevators to make it easy for people to move around or hang out. "We want to make the site as permeable as possible," he said. "You could enter from different points and reach all the other locations." 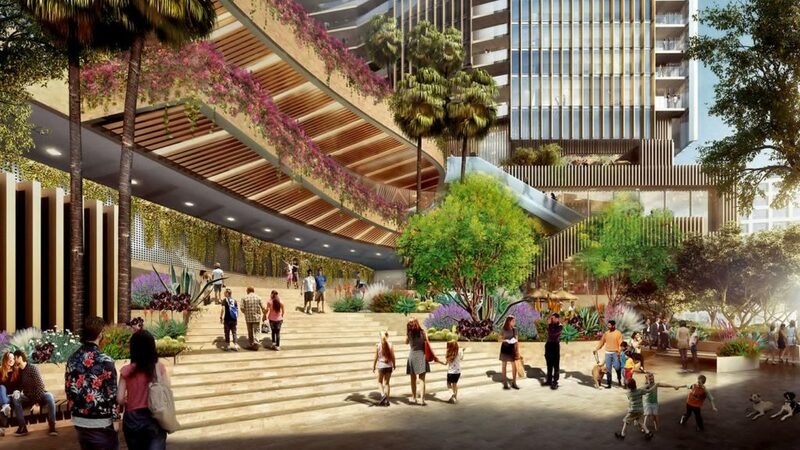 Buildings would fill only half the site, leaving room outdoors for landscaped public terraces including one overlooking Angels Flight railway midway up its path. Above underground parking and lower-level shops and restaurants would be two towers. The shorter tower of about 27 stories would house a charter elementary school and a 289-room Mondrian hotel with a rooftop pool and bar. The main tower would reach a minimum of 80 stories and include a more luxurious 192-room SLS hotel with its own swimming pool. Above that would be 425 upscale apartments along with some subsidized affordable units. The top floors would hold 250 condominiums — and another swimming pool. 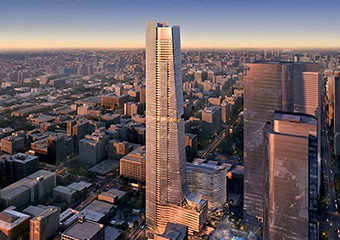 Technically the tallest building in L.A. would still be the 73-story Wilshire Grand Center, which reaches a height of 1,100 feet with the help of a spire on top. 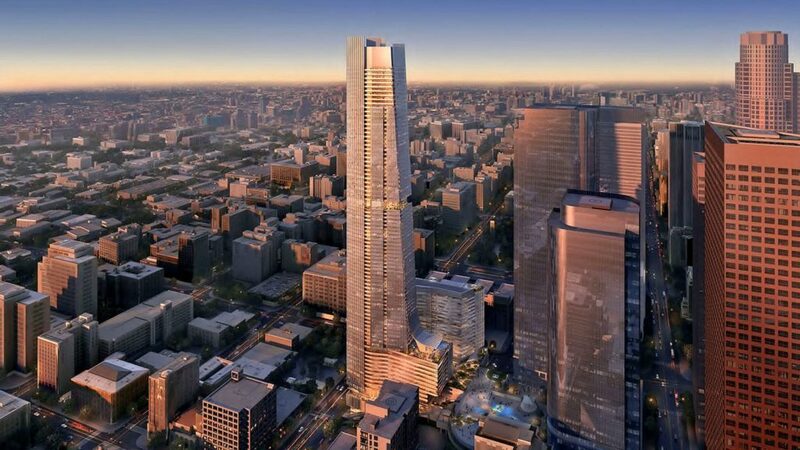 As planned, Angels Landing would be 1,020 feet tall, but its top floor penthouses, Recalvo said, would be higher than the highest occupied floor of the Wilshire Grand, Recalvo said. The plans are still tentative, however, and the temptation to seize bragging rights tantalizes the developers. "The tallest? We are striving for it. We definitely want to be able to say that," said co-developer Victor MacFarlane, chairman of MacFarlane Partners. As currently proposed, however, Angels Landing has maxed out the available density allowed for the site and the developers seem content with boasting that they will have the highest roof line in the West, a distinction now applied to U.S. Bank Tower, technically the second-tallest building in the city. 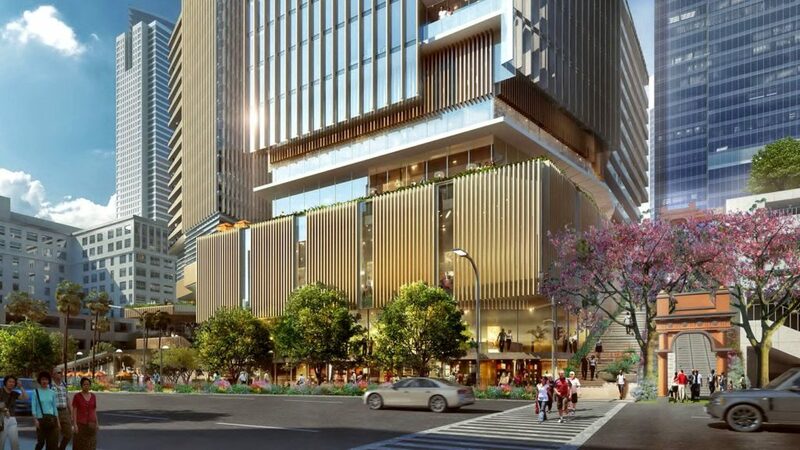 MacFarlane is already building a $400-million residential development a block away on Fifth Street, an apartment and retail complex that includes 660 apartments and a 24-story tower that will overlook Pershing Square. He predicts that residents who move there or to Angels Landing will be young professionals and empty nesters who want to live in an urban setting but don't seek the more lively entertainment-oriented district growing around Staples Center and L.A. Live, where two other $1-billion mixed-use projects are being completed. Financing to build Angels Landing should be available through conventional sources, said MacFarlane, who develops property on behalf of pension funds and other large institutions. But the real estate market as been on the upswing for several years so it may be a while before big-money backers jump in, he said. "It's not going to be financed in this cycle," MacFarlane said, "unless this cycle breaks all kinds of length records. We are three to four years from breaking ground." Major projects such as the Grand and Metropolis, which is nearing completion north of L.A. Live, often take many years to execute, however. "Angels Landing is like any other mega project," downtown real estate consultant Hal Bastian said. "It will take more time to [get to] construction than anybody would expect — and it will get done." To start Angels Landing it will cost as much as $40 million just to buy the land and go through the design, approval and permit process, MacFarlane said. Construction would take an additional 41 months, perhaps putting completion around late 2024. "Realistically," he said speaking of the timing, "these big projects take what they take." 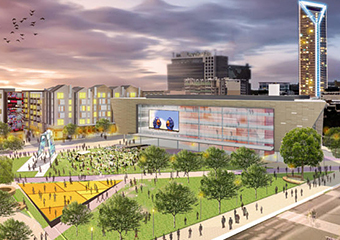 A rendering of the proposed redevelopment at Brooklyn Village. Courtesy BK Partners. A pair of plans to remake large swaths of uptown Charlotte is moving forward and the public should see signs of progress in the coming months, Mecklenburg County commissioners were told Tuesday. 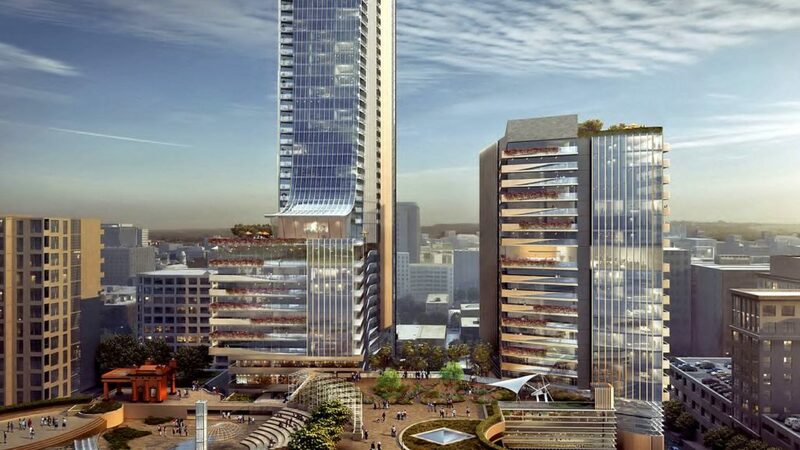 Mecklenburg has been planning for years to turn the sterile government quarter that dominates much of Second Ward into a mixed-use community with apartments, condos, shops, restaurants, offices and hotels. In June 2016, county commissioners picked a partnership led by Peebles Corp., Stantec and Conformity Corp. to redevelop 17 county-owned acres: The Bob Walton Plaza south of Stonewall Street (across from the Mecklenburg Aquatic Center); the shuttered Board of Education building; and Marshall Park between Martin Luther King Jr. Boulevard and Third Street. 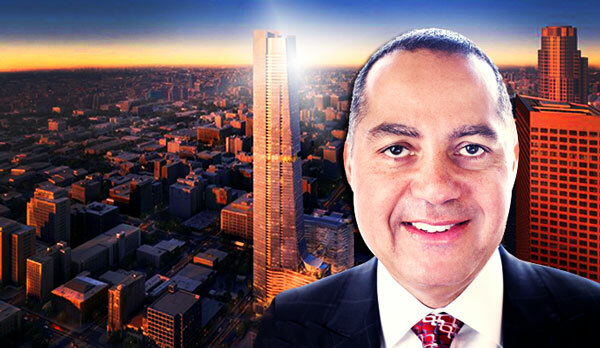 Los Angeles, meet Don Peebles. 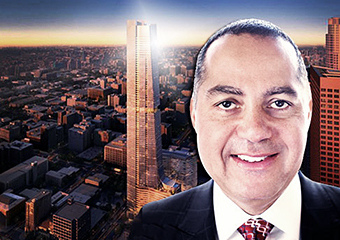 The East Coast developer has officially arrived in L.A., and he’s doing so in a big way — building what will be one of the tallest residential towers in the western U.S. Earlier this week, the City Council unanimously approved a $1.2 billion plan put forth by Angels Landing Partners LLC — a partnership between Peebles Corporation, Claridge Properties and MacFarlane Partners — to redevelop the largely vacant Angels Knoll site in Downtown into the mixed-use Angels Landing complex. The team, together with Handel Architects, beat out three other bidders for the job, one led by Lowe Enterprises and Gensler, another by Onni and Natoma Architects, and a third team of Trammel Crow Company and MAD Architects. When The Real Deal asked how Peebles was doing on Thursday, we expected him to sound more excited given his West Coast coup. Peebles was limping around Los Angeles while there to speak in front of the City Council on the Angels Landing deal. He had injured himself stepping out of his New York City townhouse a couple weeks ago. “Developers, we’re real resilient,” he said. We asked Peebles about the project, his experience working with two longtime friends and his future plans in L.A.
How does project break down between the partners? What in particular are you bringing to the table? The structure of the deal is MacFarlane and Peebles are primary partners, and Claridge is a local partner. MacFarlane and I are each 40 percent partners. We’re collectively co-developers and sharing responsibilities on every element from predevelopment to design development, construction and management. It’s really a joint venture between the three of us. [Peebles Corporation] has extensive public-project development experience. We have had 30 years’ experience developing projects in partnership or with significant government involvement. It’s one of the unique things we do, so we’re helping to put together Request for Proposal responses and moving things forward with the city. We also bring our experience with hospitality space and mixed-use development. We’re working through the entitlement process, regulatory process, working with the community, with government agencies, and bringing everyone together to move the development forward. How did you come to work with Claridge and MacFarlane? I’ve known [Claridge founder] Ricardo Pagan for a decade, and I’ve known [MacFarlane CEO] Victor MacFarlane for 20 years. MacFarlane and I have done projects in Miami and D.C. together, and we’re good friends. The beauty is any of the three of us could have bid on this separately, but we thought it made sense to join together and form a super team. Victor moved out to Los Angeles not five years ago and encouraged us to look out there, so we went and looked a few times with him, then we started zeroing in on where we had interest and identified this site. We did further due diligence and decided to pursue this when the RFP came out. All three of the firms are minority-owned. How important was that to you when teaming up? That’s something we were very mindful of. Something that all three of us share in common is a commitment to equal economic opportunities. The selling point for the three of us to join forces was that it would be a wholly-owned development by minority developers that are each capable of developing projects themselves, but decided to join together to build a transformative development. By being [among] the tallest building in the western U.S. is transformative; by being the last site the city owned in Downtown LA is another key element and transformative; a billion-dollar-plus project itself is transformative; and adding to that is that it’s a wholly-owned minority development team with two of the most successful African-American entrepreneurs in the country made it more transformative. It’s also an opportunity to provide minority- and women-owned businesses contracting opportunities. Our goal is 25 percent on all our projects across the board. Why do you think your proposal stood out? One, being [among] the tallest building in the western U.S., and from a design perspective, Handel designed an amazing building. The strong financial capacities of our developers, the solid financing proposals and our development program was the most unique. We have a good understanding of what government look for. One thing they like is hotels, because they attract tourism to an area and are tremendous job generators, from unskilled labor up to the executive staff. There’s a growing residential population in the area, and we think the charter school was a determining factor. Also, we were the only team to emphasize a commitment to minority- and women-owned businesses, and that was something important to a city as diverse as Los Angeles. Is the financing for the project in place? 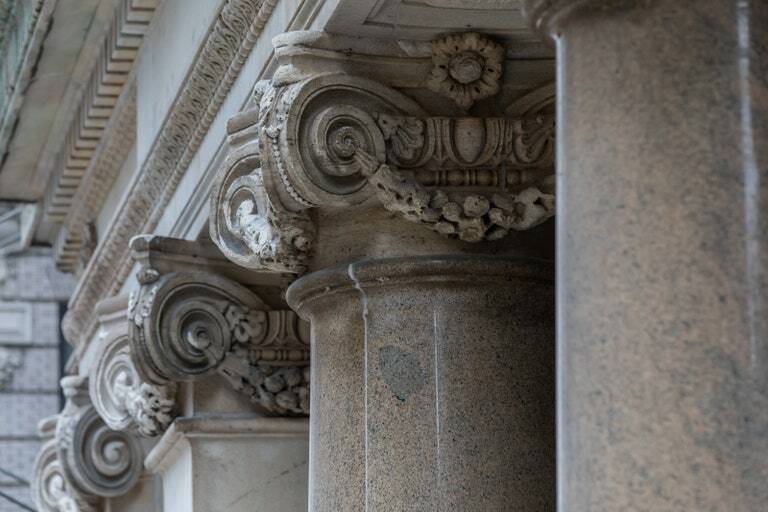 MacFarlane is a majority private equity fund and their dollars are committed, ours are committed, and we have strong interest from the senior debt side. We can’t lock it down without contracting in place, design and development, and the maximum price guaranteed. We have strong interest from some of the most active lenders in the marketplace, and we’ve all received calls from lenders [showing interest]. Was there anything that ended being a real point of contention with the city? What L.A. did was astute. After narrowing down the 10 or so proposals to four and an RFP, they gave the developers a draft of their proposed developer agreement in contract and all of the respondents had to review, comment and disclose changes they were seeking. Then they had comprehensive presentations from developers with follow-up questions. They notified us on Friday we would be selected, and on Tuesday we testified. It went to the full City Council on Wednesday, so that process was so rapid. The [typical] period between the award and action could be anywhere between three months to a year, and the time between a selection and official action can be weeks or months. That creates an environment of lobbying and negotiations, but this streamlined it. The City Council ratified it, and the city already understands our comments and are turning around documents already. We’ll probably get paperwork back on Friday or the middle of next week, with red-line changes and comments on our changes. How did you determine the number of homes — 5 percent — set aside for people making between 80-120 percent of the area median income, and why are there no affordable units below that? We have some room on that, it’s going to depend on financing. We can take that up to a higher level based on the number of units or affordability. There was a minimum threshold, and we wanted to do that. The city also looked at your community-outreach plans. Yes, and we’re going to do more of that. On this project, we got initial feedback and incorporated it into the development plan. We included the 25,000-square-foot Angel Terrace that can be used for different public activities. We want it to be accessible to a wide range of people — not just where wealthy residents and hotel guests come, but for a broad range, including the people who work in offices there. There seems to be a lot of talk about how this will transform Downtown, and there’s been a lot of development in the area recently. Do you think it’s ready for something this big? Absolutely. For one, the Los Angeles Convention Center is in desperate need of hotel rooms, and Angels Landing is close enough to be accessible. You’ve also got the Broad Museum and a lot of offices in Downtown, so from the hotel side it’s definitely sorely needed. I think having a plaza that’s conducive for people to utilize instead of office plazas, which get a lot of use but mostly get dark at night, is a significant add. It’s not a gigantic site; it’s two-and-a-half acres, but the buildings go up and you have Angel Flights nearby. It’s all a part of creating a center of attraction for people who are there. What do you think Downtown needs to keep evolving in the right direction? I think Downtown needs to continue to have residential development on all levels, from a high level to workforce housing and in between. It needs more retail — service retail — to be an amenity for a growing residential population. I think it could use more midsized office space — there’s the WeWork in Downtown — and a few more buildings that are live-work could be helpful down there. What’s next for you in L.A.? Any plans to do more here? Absolutely. We’ve been looking to enter L.A. since the mid-2000s and then the market crashed, so we focused on things we had. We’ve been looking again for the past three or four years. This is our entry into the marketplace. We’re opening an office in L.A. Ricardo, Victor and I look at [Angels Landing] to be a test for future opportunities. “I’m a huge fan of Carter [Cleveland] and what he’s built with Artsy, and also Gucci,” Weiland said, pointing to the Italian brand’s move toward gender non-conforming collections. Suddenly, at the strike of midnight, the lights turned on. The party was over. 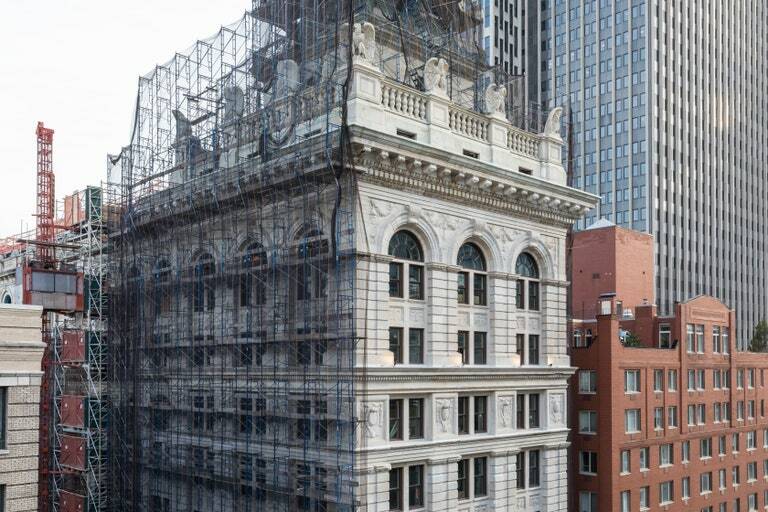 In New York’s TriBeCa neighborhood, a preservationist's dream was finally unveiled after 17 years under scaffolding. 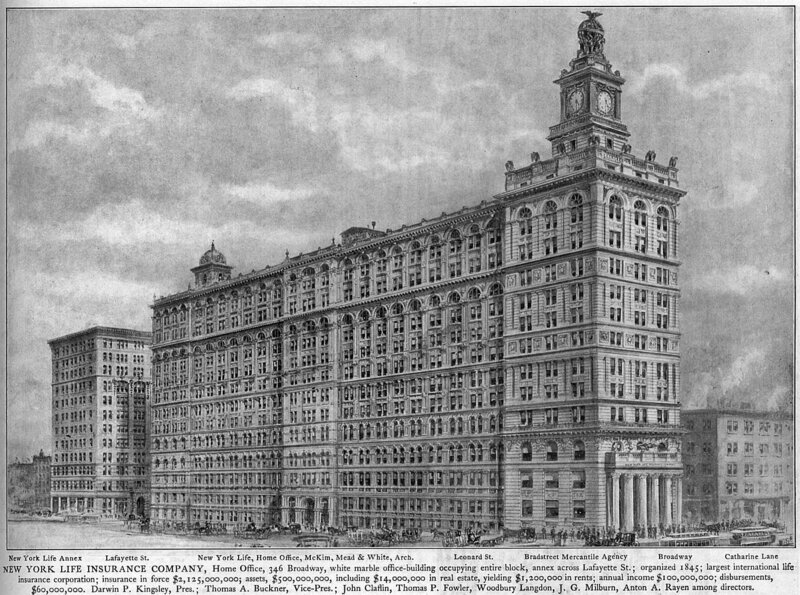 The Clock Tower Building at 108 Leonard Street, completed in 1894 by architecture firm McKim, Mead & White—the design team also behind the Brooklyn Museum, the Washington Square Park Arch, and the now-razed Penn Station, among many other iconic 19th century marvels—has a revealed a façade that has returned, in a way, much to its original roots. 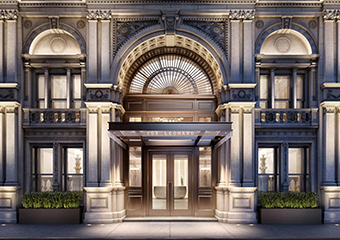 After years of disrepair, the Italian Renaissance Revival exterior of this landmarked property has been meticulously restored by Howard L. Zimmerman Architects, down to the face of the clock on its three-story topper. When purchased by the Elad Group and Peebles Corporation in 2013, the 13-story Clock Tower Building—which spans an entire city block—became the City of New York’s largest NYC Landmark building ever sold. 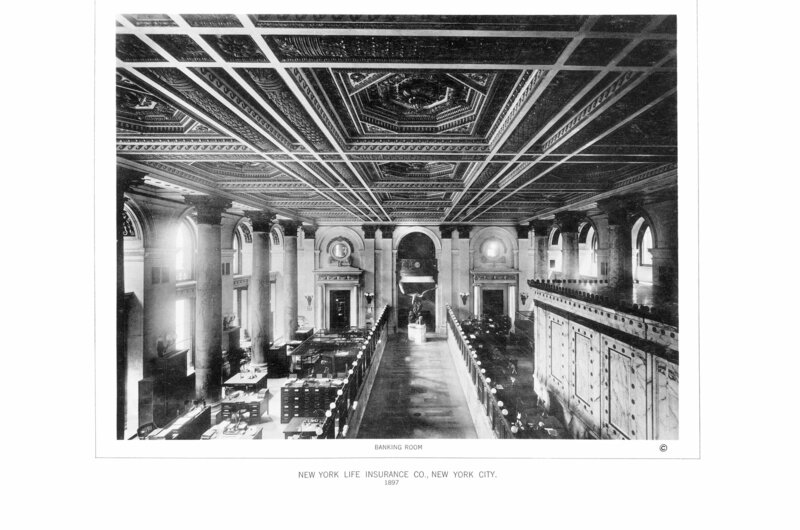 Originally built as the headquarters of the former New York Life Insurance Company Building and most recently home to New York City Summons Court, 108 Leonard as we know it today was the brainchild of the pre-eminent architect Stanford White, who also created its distinctive clocktower. Facing the street, the Classical clock is brilliantly engineered as a master timekeeper, commanding smaller clocks throughout the interior of the building. “It’s one of the last remaining mechanically wound clocks in the Western Hemisphere,” says Alexei Tajzler, a director at Howard L. Zimmerman Architects, “and it’s still operational.” Beyond the clocktower, however, the façade needed significant TLC. Lack of maintenance and patches with tar, a popular cheap fix in the 1970s and 1980s, notes firm principal Howard Zimmerman, required 10,000 line items of repair, achieved only by dividing the surface area into 340 visual quadrants to keep track of the scope of work to be performed. “We wanted to complete a renovation that would be true to the original design,” he explains. But the project was not without its challenges. “Some things were so weathered we had to analyze whether they were concave or convex,” in shape. 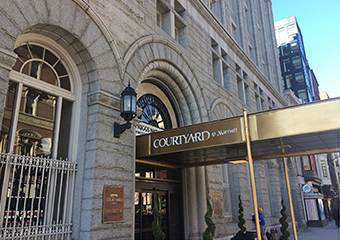 A partnership including New York-based developer The Peebles Corp. has sold the Courtyard by Marriott hotel building by Ninth and F streets NW for $83 million, nearly a quarter-century after the developer acquired the historic Riggs Bank building from the Resolution Trust Corp. for just $5 million. Peebles, with partners The Donohoe Cos. and Penrose Group, sold the 188-room hotel at 900 F St. NW Tuesday to Global Holdings, an international real estate investment company led by Chairman Eyal Ofer. 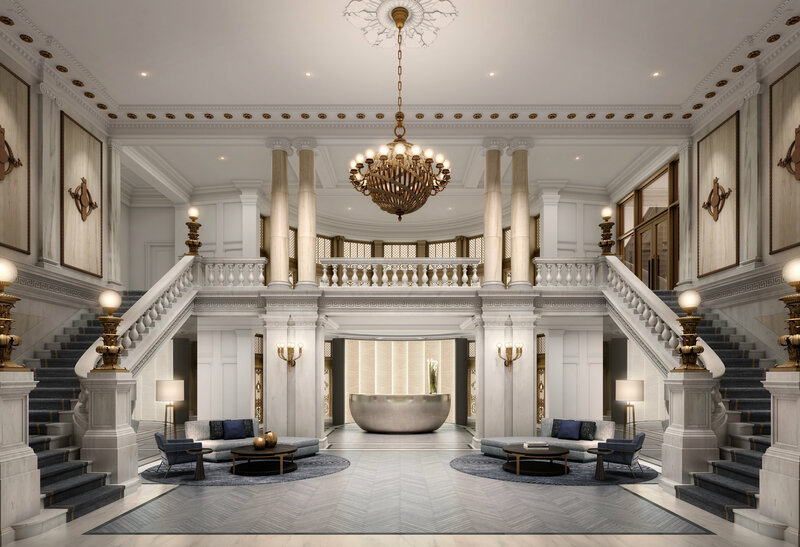 The sale, which works out to nearly $441,500 per room, comes as Peebles gears up to develop what's planned as a five-star SLS Hotel and Residences by Fifth and Eye streets NW a few blocks away. Peebles President and CEO Don Peebles said the group determined the property's value had peaked and that additional renovations would have been required to boost that figure. The hotel's taxable assessment is about $62 million, according to D.C. land records. "I think the value of the property had kind of topped off. 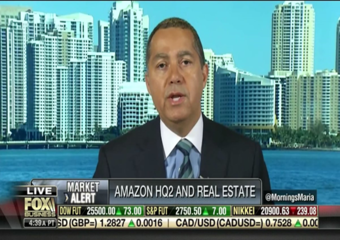 We got a tremendous return on the investment," Peebles said. "It was just time for us all to go our separate ways. We've been partners for nearly a quarter of a century." The property was marketed by Eastdil Secured. The area is a far sight better these days than it was 25 years ago. Across Ninth Street is a Shake Shack and, until it moves to its new home near L'Enfant Plaza, the International Spy Museum. Across F Street is the Gallup Organization's global headquarters. And diagonal is the Smithsonian American Art Museum. But 25 years ago, the vacant, 10-story office building was just one piece of real estate suffering through the thick of the savings and loan crisis of the late 1980s and early 1990s. And in a pre-internet world, Don Peebles had to take time out from his honeymoon in Montana to find a notary. 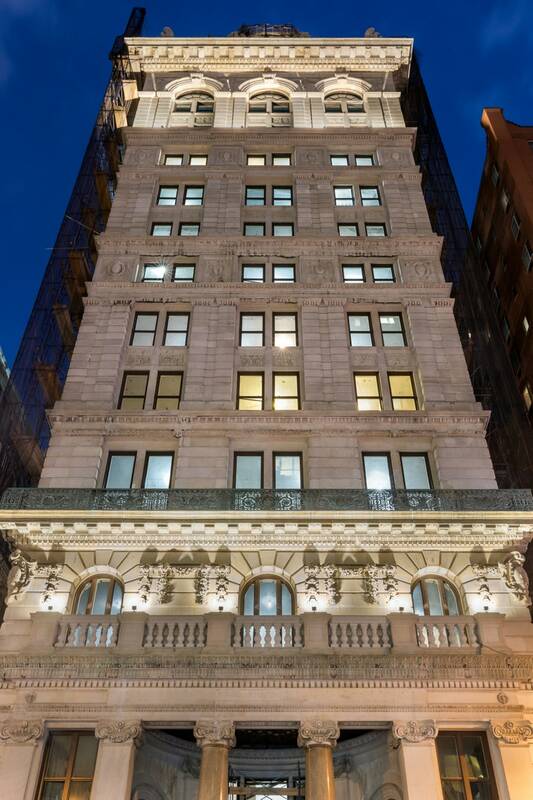 The year was 1992, and the Resolution Trust Corp., formed to liquidate distressed assets, required prospective buyers for the historic Riggs Bank building to have their bids notarized. Peebles found one in the closest town to where he and his new bride were staying. While it took some time, he acquired the 97,000-square-foot office building in 1994 and launched an $18.5 million renovation that converted it into what the WBJ described in a 1999 article as " the crown jewel of F Street." The acquisition was the first hotel for Peebles and the first of his hotels that was listed on the National Register of Historic Places. It was a gamble: The early 1990s were not a positive time for downtown Washington. That D.C.'s real estate market would come back as far as it has now wasn't a universally held opinion, but Peebles said he was confident it would rebound. "I operated from the premise that Washington, D.C. is the most important city in the world and that the core of downtown of the most important city in the world would bounce back," Peebles said. "Basically, I used my gut instinct and had faith in the future of downtown." 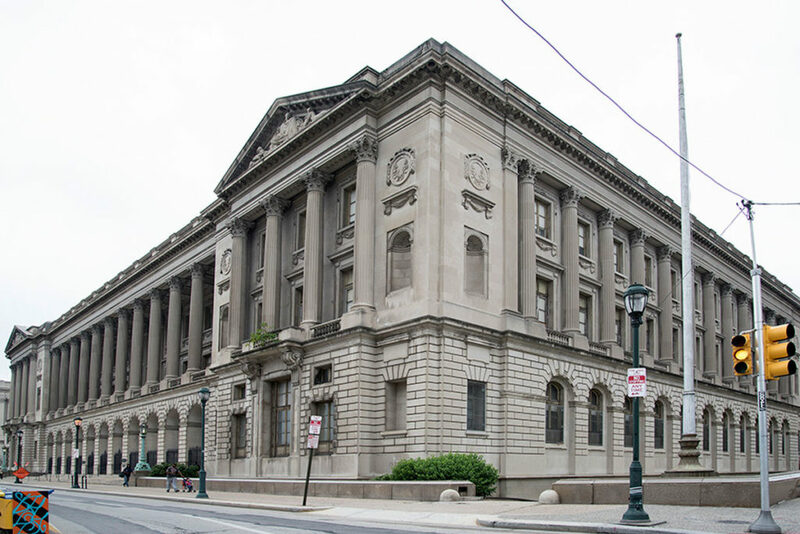 Plans to convert the former Family Court building in Center City into a boutique hotel have been declared eligible for a federal tax credit aimed at supporting historic-preservation projects, offering a boost to the long-stalled proposal. The National Park Service approved developer Peebles Corp.’s renovation plans for the 76-year-old building at 1801 Vine St. on Dec. 29, said a spokesman for the agency, Jeremy Barnum. 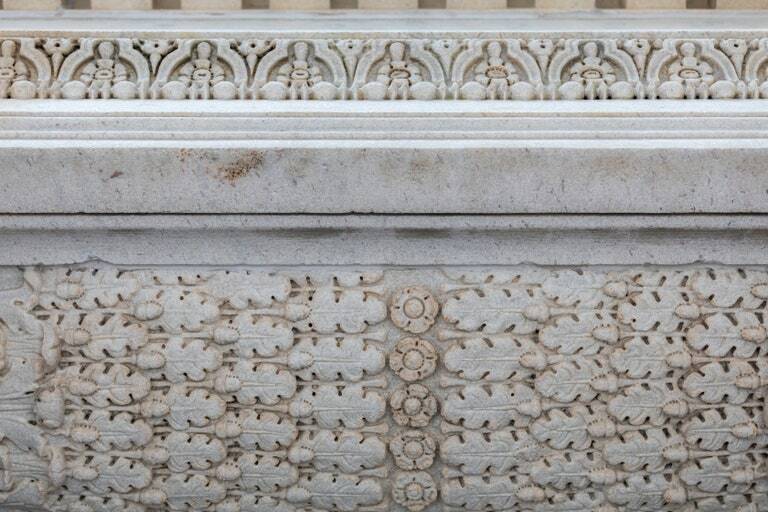 The Park Service had rejected an earlier plan for the building from the Coral Gables, Fla.-based developer, ruling that the then-proposed renovations would "severely downgrade" the court building’s historic character. Barnum said he was unable to discuss changes made to the plan since its rejection in May. Peebles spokeswoman Nicole Goldberg did not respond to an email. 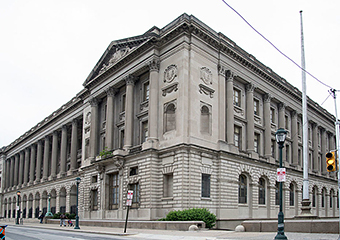 When Peebles was awarded the project in 2014 after a competitive bidding process, Philadelphia officials described the court building’s renovation as a vital step toward further enlivening the Benjamin Franklin Parkway. 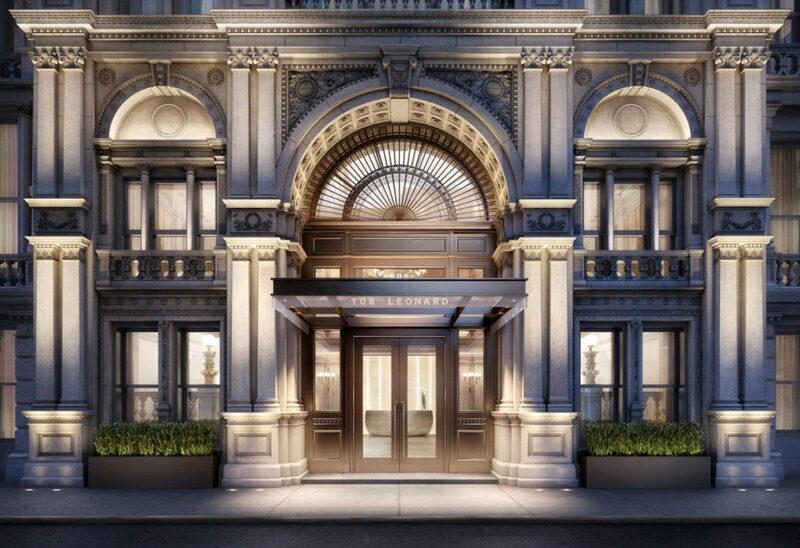 The developer's plan for the vacant Beaux Arts court building called for 199 guest rooms, a 3,500-square-foot ballroom, meeting and board rooms, a spa and fitness center, and a restaurant and bar. 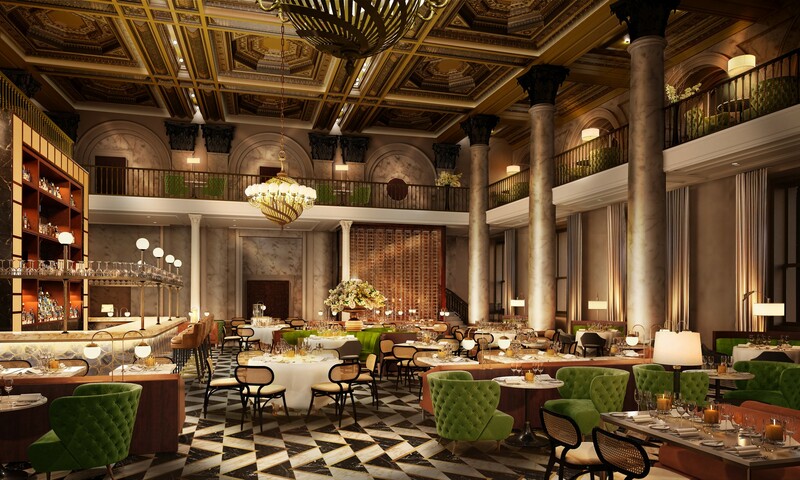 The bid originally called for the building to be developed as part of the Kimpton Hotel & Restaurant Group, which operates Center City’s Monaco and Palomar hotels. In July, a Kimpton spokeswoman said her company had never formalized an agreement with Peebles for the Family Court property. Peebles previously attached an $85 million price tag to the project, though rising construction costs since its original proposal could increase that figure. Officials with the Pennsylvania State Historic Preservation Office, which administers the tax-credit program with the Park Service, said last year that the credit would knock $14.6 million off Peebles’ development costs, based on previously submitted project estimates. 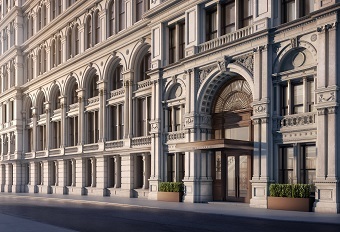 With the tax-credit approval in hand, Peebles should have new momentum to push forward with its plan for the building, said Peter Tyson, a managing director at commercial real estate firm CBRE’s hotels division in Philadelphia. 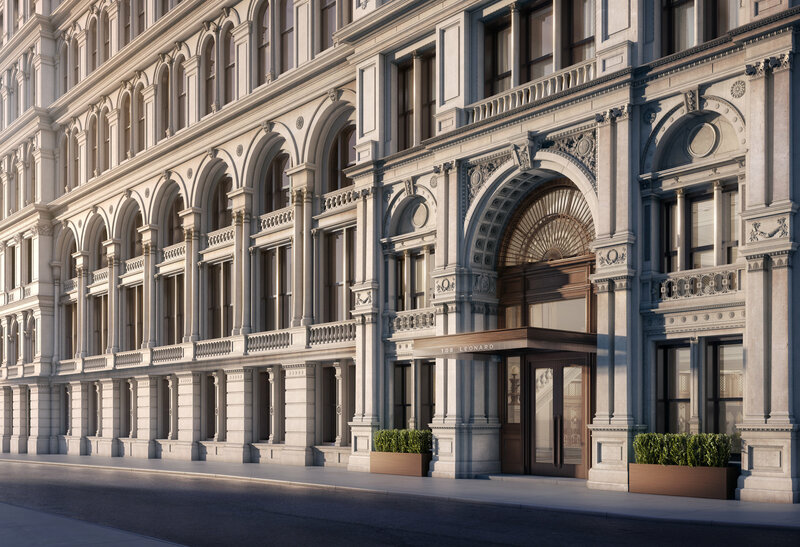 The developer now knows how much money it needs to borrow or raise from investors to finance the project, Tyson said, and should find it easier to convince a hotel brand — whether it’s Kimpton or another — to lend its name to the property. “It should enable all the pieces to come together and get the thing moving,” he said.